Professor Sara L Seck (B Mus MUN; MMus Ottawa; LLB Toronto; PhD Osgoode Hall) joined the Schulich School of Law, Dalhousie University, and the Marine & Environmental Law Institute in July 2017, having served for 10 years as a member of the Faculty of Law, Western University, Ontario. Originally from St John’s Newfoundland, Sara’s research and teaching expertise include corporate social responsibility, international environmental, human rights, and sustainable development law, climate change, and indigenous law, often with a focus on extractive industries. 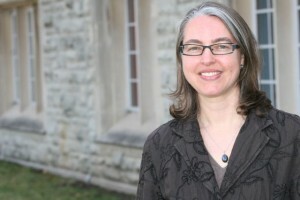 Her research has been supported by the Social Sciences and Humanities Research Council of Canada, including research critiquing the state duty to protect under the United Nations Guiding Principles on Business and Human Rights. She is a member of the governance committee of Columbia University’s Teaching Business and Human Rights Forum, and a founding member of the Editorial Board of Cambridge University Press’ Business and Human Rights Journal. In May 2015, Sara was appointed a Senior Fellow with the International Law Research Program (ILRP) of the Centre for International Governance Innovation (CIGI) to support research into the business responsibility to respect human rights impacted by climate change. In the summers of 2015-2017, together with Professor Neil Craik, she has co-taught an International Law Summer Institute for non-law global governance graduate students for CIGI ILRP and the Balsille School of International Affairs. In September 2015, she was awarded the Emerging Scholar Award by the Academy of Environmental Law of the International Union for the Conservation of Nature (IUCN) for her research on international environmental law and extractive industries. She is currently the Deputy Director for North America of GHNRE.